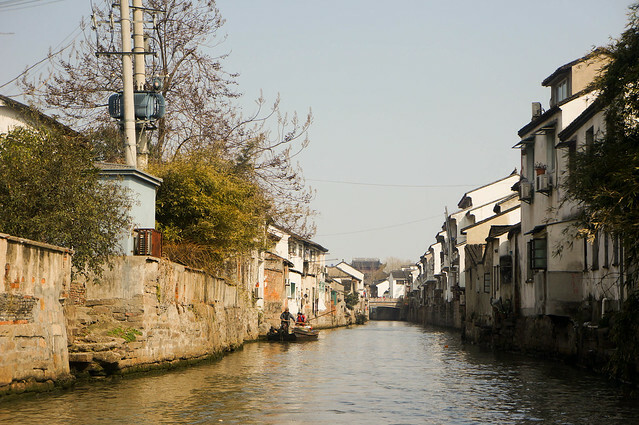 Suzhou, a mere 45-minute ride by high-speed bullet train from Shanghai, is a common day trip for tourists; some come for a quiet retreat from city life and others for Suzhou’s tasty dishes, but most, like me, came for the landscape architecture. 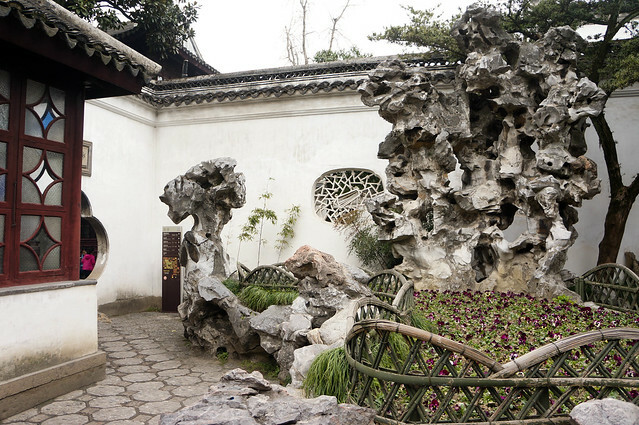 Nicknamed ‘Venice of the East’ for its canals and stone bridges, Suzhou’s real clame to fame is the collection of UNESCO World Heritage Classical Gardens. 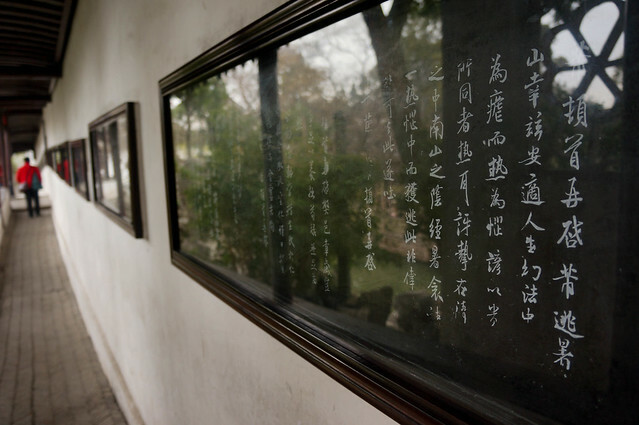 Founded in 514 BCE, China’s garden city is seated on a fertile alluvial plain at the mouth of the Yangtze River, a strategic location that not only sowed the seeds for agricultural success, but also anchored the city on a major trade route that would secure a long future towards economic prosperity. 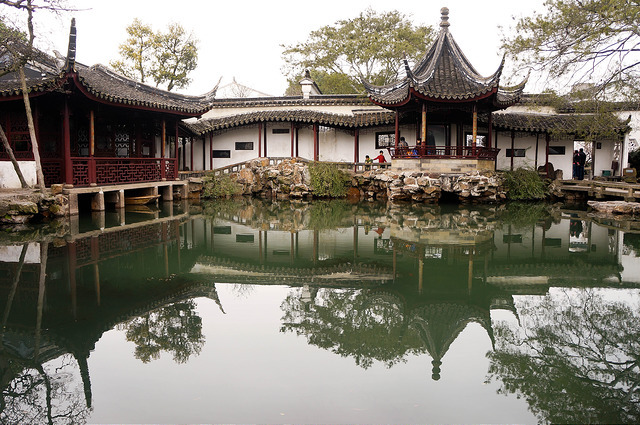 Suzhou’s wealth and stability gave rise to garden-making and scholarly pursuits, particularly during the Ming and Qing dynasties (16c – 17c), known as the Golden Age for Suzhou gardens. 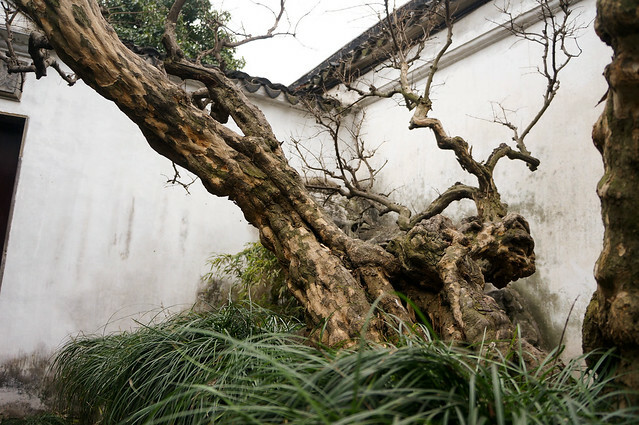 By the end of the 1940s, however, many gardens were destroyed following foreign invasions and internal uprisings; today’s gardens are mostly restorations and reconstructions of their former glory. 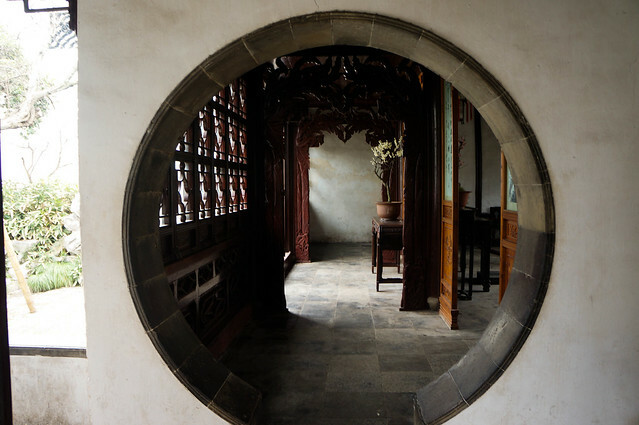 My six-week stay in Shanghai that followed my nearly half-year trip across North America was an unexpected twist of events, though a welcome respite from a nomadic, couch-surfing lifestyle. 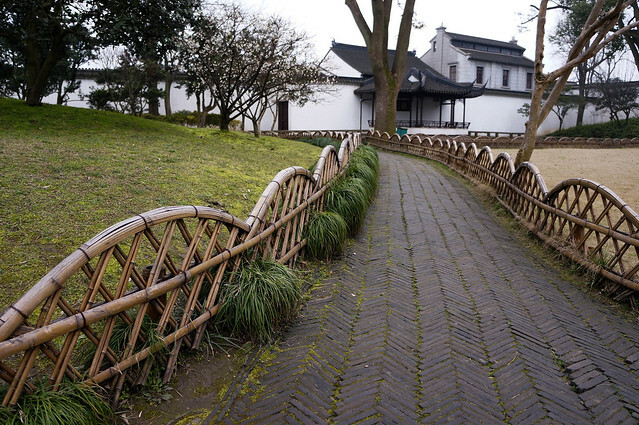 Eager for my first chance to visit China’s most acclaimed gardens, I wasted little time getting on a bullet train to Suzhou. 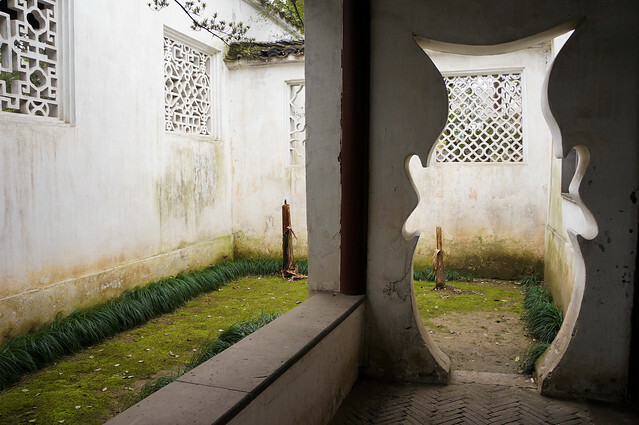 In retrospect, however, I wish I had the time to stay longer and thoroughly research the gardens before my trip. 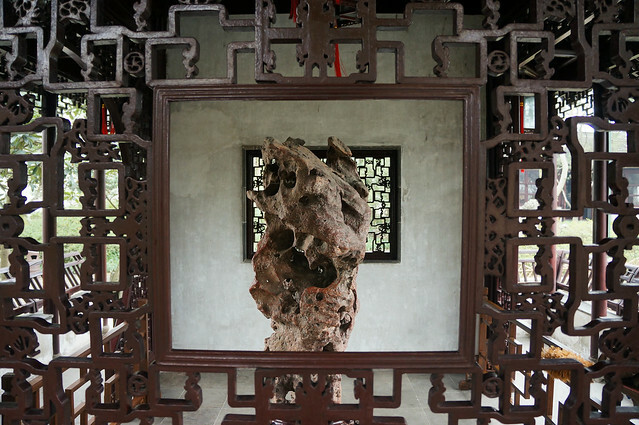 Richly steeped in Chinese culture and symbolism, one could–and really, should–spend days examining the history behind the garden construction and uncover meaning behind each carefully placed Taihu rock and positioned pavilion. 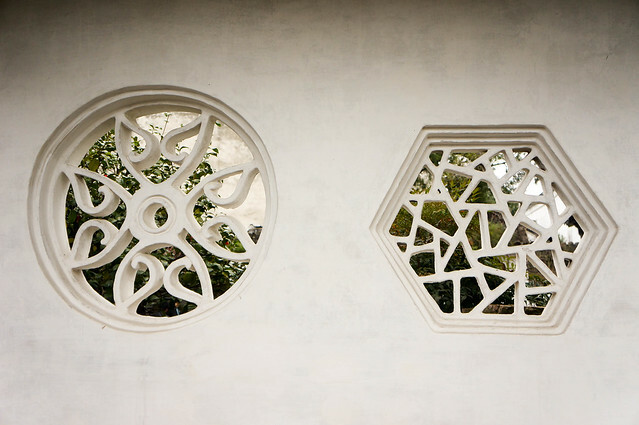 The amount of forethought and deliberation in Chinese garden design is astounding. 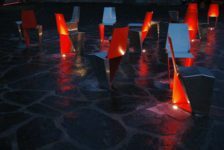 For those who do make the trip, I have two pieces of advice. 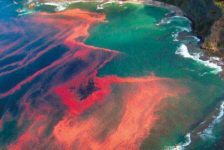 First, do the research before you get here. 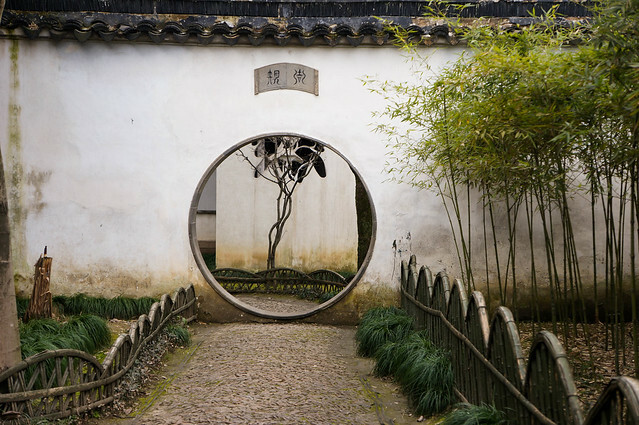 I highly recommend picking up a copy of Ron Henderson’s The Gardens of Suzhou. 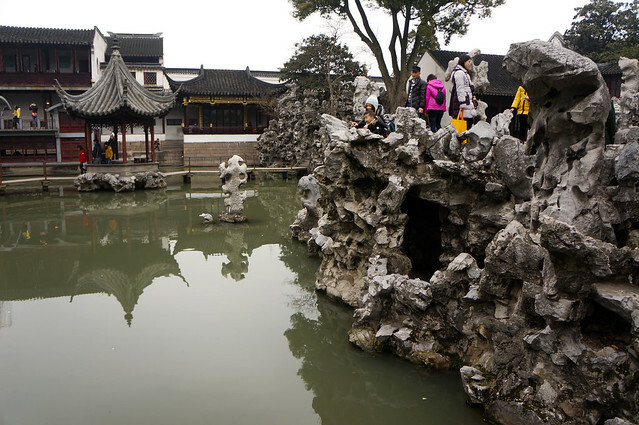 You could get a tour guide (it helps if you speak Chinese), but that brings me to my second piece of advice: arrive early to beat the noisy tourist crowds. 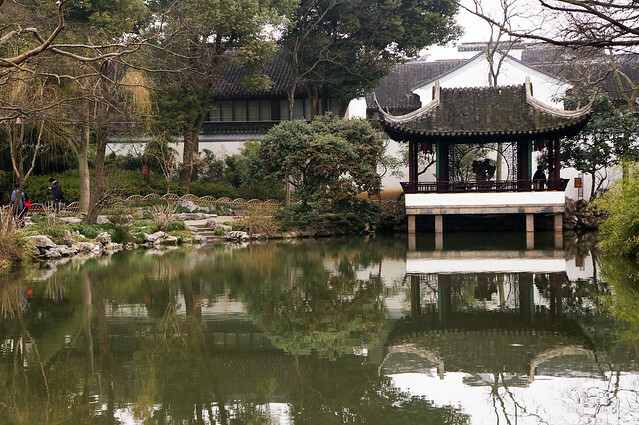 Suzhou’s gardens were built as part of private residences, as a calm retreat from chaotic city life for the elite to take quiet, meditative strolls. 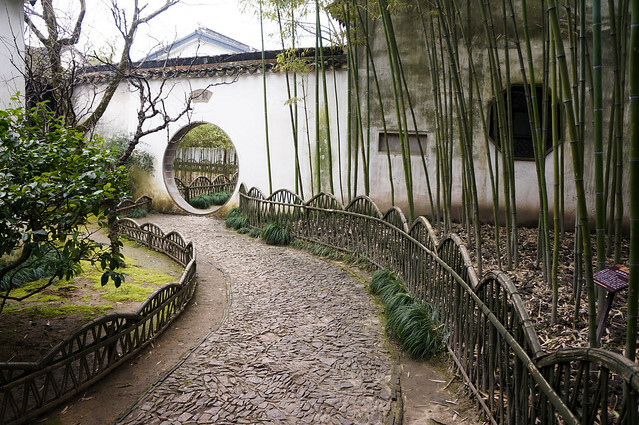 Divorcing yourself from the noise is the best way to enjoy these gardens as they were meant to be experienced. 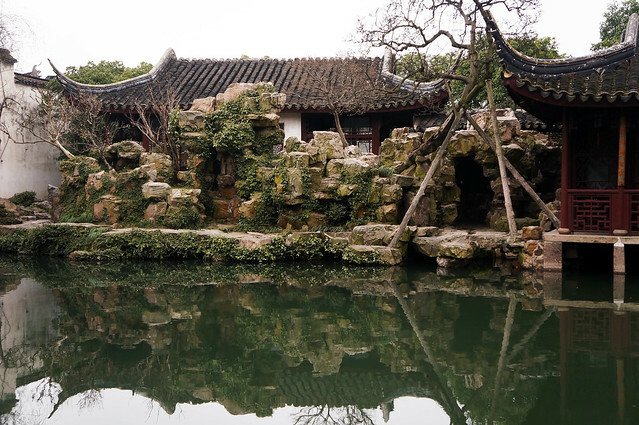 Suzhou’s classical gardens were built during different dynasties but most are designed as miniaturized landscapes sharing the design principles of borrowing, framing, and contrast. 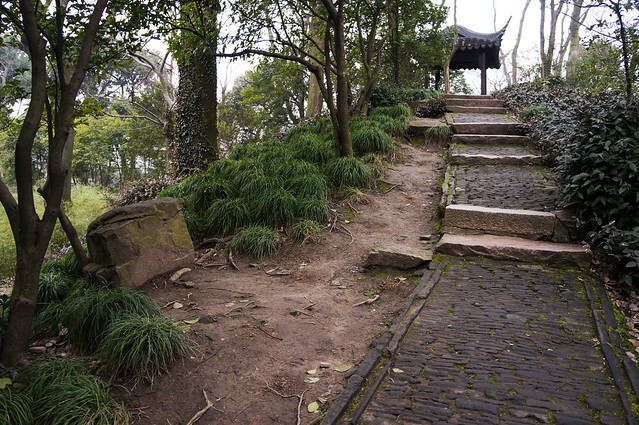 Water and rock are prominent themes throughout the gardens. 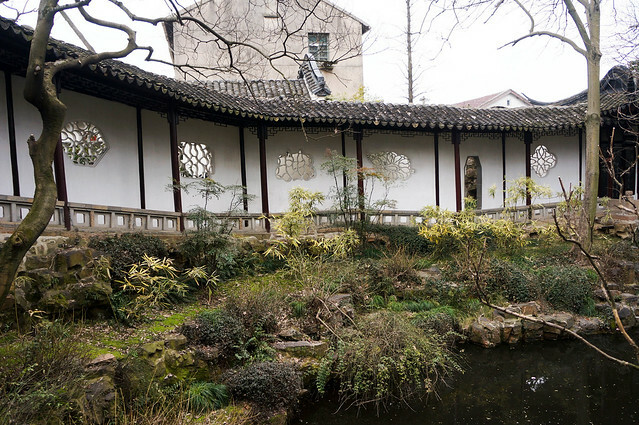 A small pond can usually be found at the center of the garden with winding streams snaking their way towards tall, white courtyard walls. 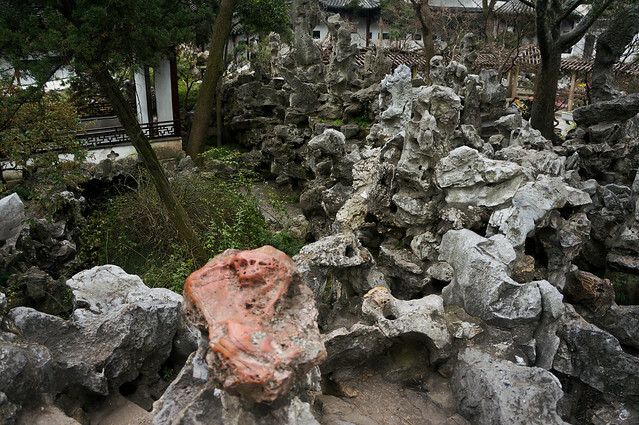 Rockeries, or “artificial mountains,” form the backbone of the garden and encapsulate the idea of a mountain forest in the city. 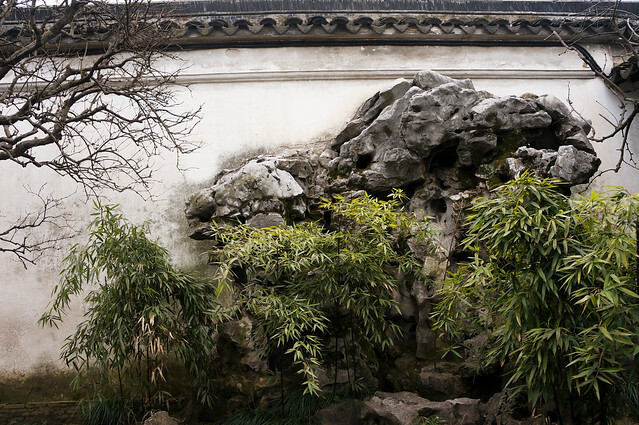 The masculinity of the stone rockeries contrast against the limpid pools of water; this combination creates a sense of balance in the garden. 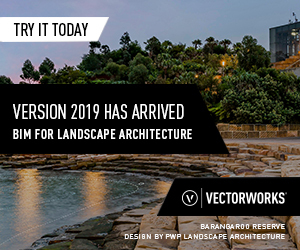 Just like mountains, the rockeries are a hands-on experience that visitors are meant to climb. 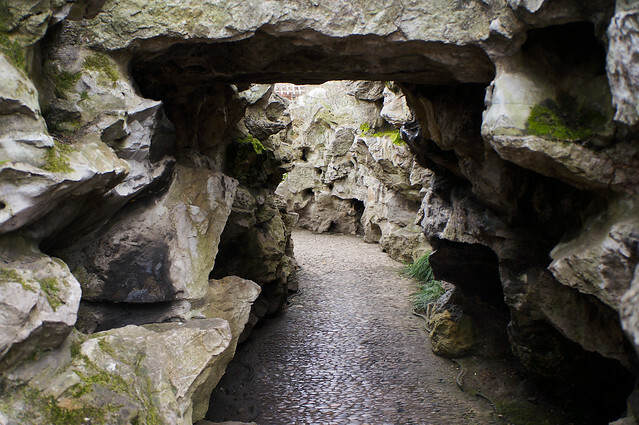 I felt that the tactile experience of exploring the cavernous tunnels beneath the rockeries and climbing to the tops for views helps build a greater connection to the landscape. 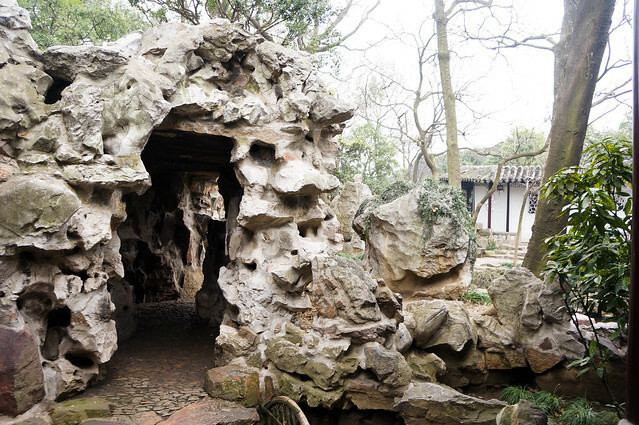 Lion Grove Garden is most famous for this user experience; its labyrinthine rockery made of Taihu lake limestone is the dominant feature in the garden. 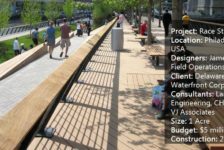 Pathways are carefully routed to provide interesting views with each step and the raised viewing platforms are constructed at points for carefully constructed views that invite pause and reflection. 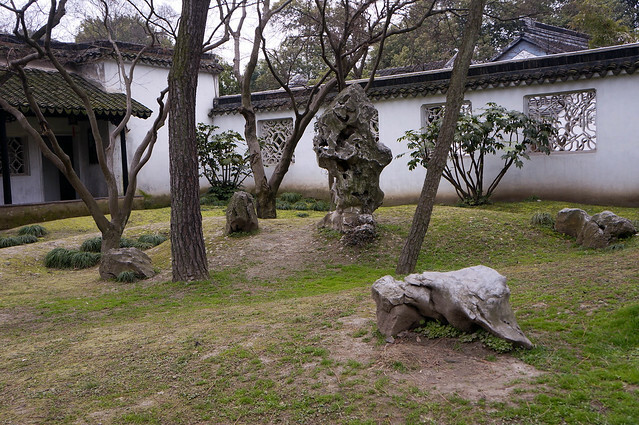 In my short two-day visit to Suzhou, I was only able to visit a handful of these gardens. 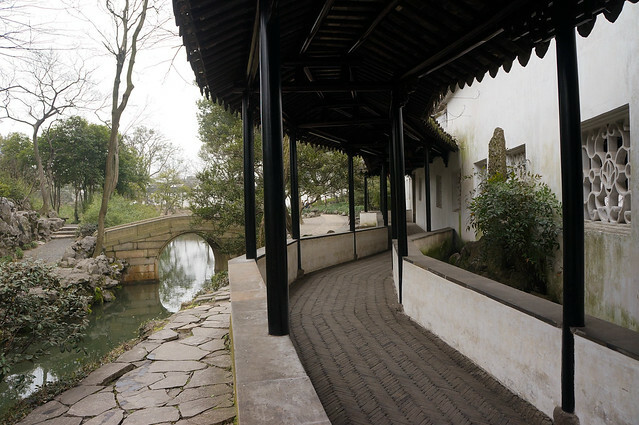 The pictures I’ve taken are highlights from the big four: The Humble Administrator’s Garden, Lion Grove Garden, Master of the Nets Garden, and the Surging Wave Pavilion. 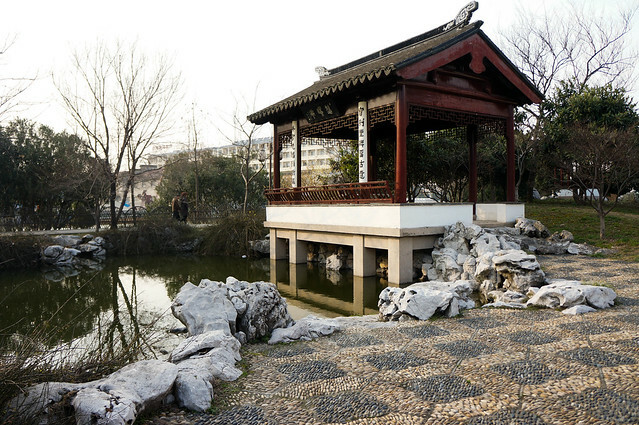 Let me know if you’ve ever visited these great Chinese classical gardens or if you have any future plans to visit! 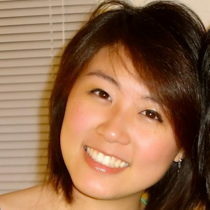 All photos were taken by author Lucy Wang. 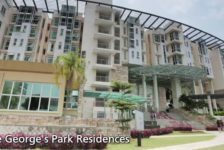 Please ask before using. 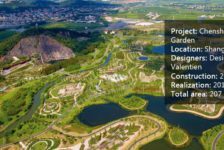 I’m an American landscape architect currently residing part-time in Suzhou with my husband, who has a year-long gig in this city. 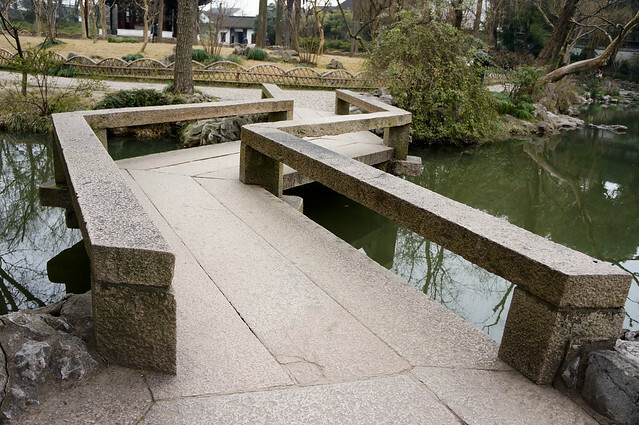 How I wish I had known you were here, as I’ve visited most of Suzhou’s gardens and have longed to discuss them with another landscape architect. 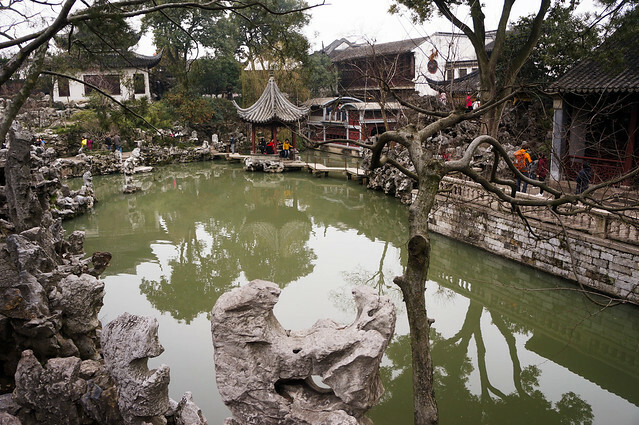 Your advice regarding time of visit and research is spot on, and please let me know if you hear of others who might be in Suzhou. 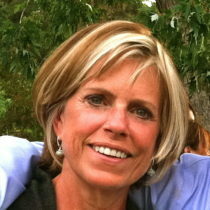 Best to you as you continue your adventure Lucy.